Westfield Valley Fair Mall in San Jose is now working with the city to change the timing of traffic lights around the shopping complex in time for Thanksgiving Day. The move comes after shoppers encountered a traffic nightmare at the mall this past weekend. On Saturday, some customers said it took them three hours just to get out of the parking garage. Some were so frustrated they left their cars and took Uber home. "It took us a good two and a half hours, two and three-quarter hours to get out," Campbell-resident Cliff Maier said. "People were getting frustrated. I saw people yelling at security and angry behavior." Jay Torres took his wife on a shopping spree for her birthday on Saturday, but when they tried to leave the mall they found themselves stuck in the parking garage. 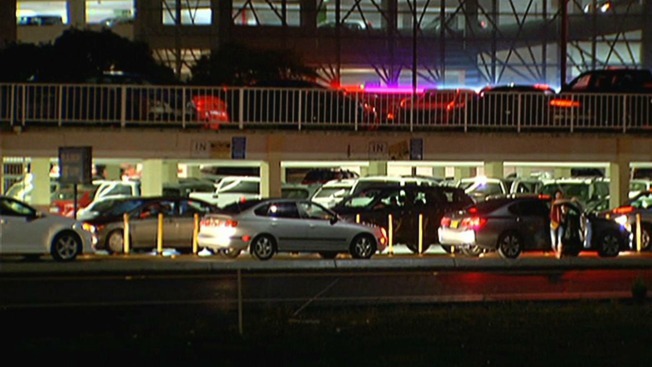 The holiday season hasn't officially kicked off, but some folks in the South Bay reported waiting in traffic lines for more than three hours during a gridlock nightmare at the Westfield Valley Fair mall's parking garages Saturday. Marianne Favro reports. "We sat for an hour and didn't move. Shopped for a few hours and it was the same situation," said Torres, a San Jose resident. "Finally we called an Uber to take us home." "We are working with the city to adjust nearby traffic light timing to ease access/egress in our area, this will be in place by Thanksgiving day for holiday shopping. Westfield has also accelerated implementation of our holiday traffic control program to avoided future inconvenience for our customers." But after shelling out $60 on Uber rides to get out of the gridlock, Torres said he will not be back this year. "I'm not going back at all until January," Torres said. The parking structure has nearly 1,900 spaces. Employees said they have been instructed to park on the top level, but some customers question whether they should still take a shuttle to another lot like last year to allow more parking for customers. Mall management said there are enough spaces for customers and employees.